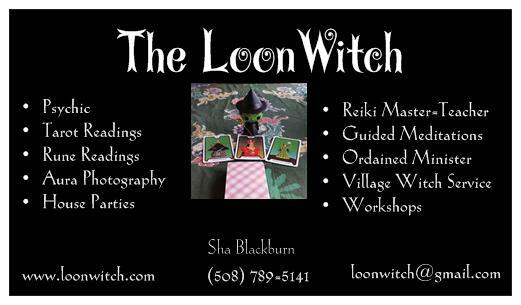 Online, the Loonwitch offers the same great items that she has available when she appears at fairs and festivals. If you miss seeing her in person, this is the next best place to shop for those specialized items. - Hand knit and crocheted mojo bags, each one knit with the right colors, and with specific intention are lovingly filled with hand selected crystals and / or herbs to bring about the right energy to help out. - Personalized Crystal Grids; complete with instructions are great for crystal vibrations on the go, or use with your picture to offer healing throughout the day while you are off doing your own thing! - If you don't find what you need on the shop, you can always request a custom mojo or grid to bring about what you need to enhance your life! 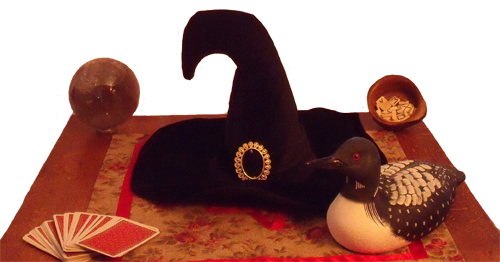 In addition to the spell kits, The Loon Witch also can "stir up" a designer spell just for you! Kitchen Witch Spell prices vary depending on the nature of the spell and complexity. All custom spells require a 30 minute advance consultation.